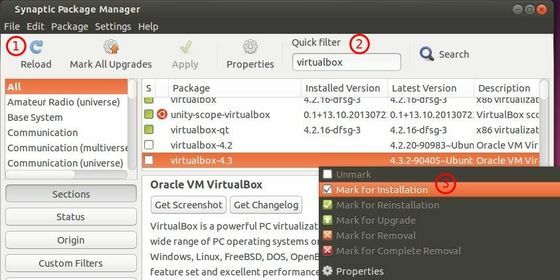 Virtualbox 4.2.20 was released recently with latest Linux Kernel issues fixed. Hate Linux commands? 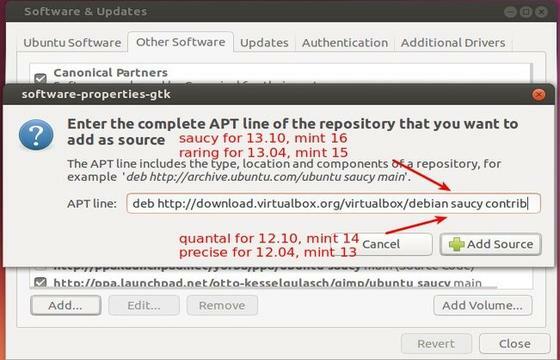 Well, here’s the graphical way to install Virtualbox (4.3 or 4.2) in Ubuntu 13.10 Saucy, Ubuntu 13.04 Raring, Ubuntu 12.04 Precise, and Linux Mint. Click Add button to add new repository. Click Add Source button, and now the Virtualbox repository is ready in your system. Then download the key. Right-click here and choose “Save Link As…”. It’ll download the key and save as .asc file. In previous window -> Authentication tab, click Import Key File button and add this key.